Sometimes the roads less travelled can take you to some pretty spectacular spots. If you’re into hiking, mountain biking, fishing, or fancy yourself any kind of outdoor enthusiast, chances are you’ve braced yourself while navigating a resource road of some kind. Resource roads (also known as logging, forest service, mineral exploration etc. roads) provide access to remote places beyond our highways. They are not built to highway standards. Like the name suggests, they were created for industrial purposes, but are often used by the public to reach recreational and backcountry areas. 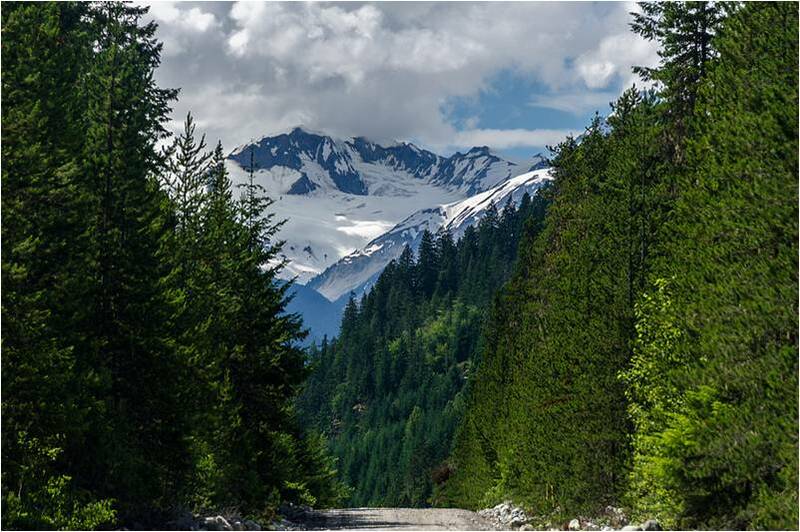 If you’re planning on driving a resource road, you should know about a handy little guide published by the BC Forest Safety Council (BCFSC). Recently updated, the Resource Road User Safety Guide explains what travellers should expect and offers tips on how to prepare for, drive, and communicate on resource roads. As a preview, here’s a list of five things you can do to make sure you return safely from venturing beyond the land of the marked highways. Gear up! : We often use resource roads to escape civilization for a time. Naturally, this means travelling beyond proximity of hospitals, gas stations, restaurants and cell coverage. It’s up to you to be prepared – and that means gearing up with supplies and emergency items outlined in the guide. Road rules still apply: We may be seeking a respite from civilization, but that doesn’t mean we should become uncivilized. Behave the same way you would on a highway – drive to road conditions at safe speeds, stop only in safe, visible locations, and keep your headlights and taillights on. These are just a few road rules to keep in mind. Read the guide for more. Watch for wildlife: Hey, you’re in the wild after all. Wildlife can pop out unexpectedly and sometimes act unpredictably. Just ask the police officer who tried to move moose at a Prince George intersection. Monitor traffic, if possible: Resource roads can be narrow, potholed and rough, and overgrown roadside brush can limit visibility. Industrial drivers use two-way radios on specific channels to announce their approach and let others know to clear the way. If you have a two-way radio, it’s a good idea to tune in to the specific frequency, which is sometimes posted roadside. Yield to industrial traffic: These large vehicles have a job to do, and they can’t manoeuvre as swiftly as passenger vehicles. Give them some space. Will a resource road connect you to your long weekend destination? If so, where are you headed? I would like to start travelling on our resource roads. From what I have read, I am aware that many are radio assist roads. However, as a private citizen is it a requirement for us to have a radio.? Assuming it is not required but suggested, where do I find out more about licencing and or other requirements. ? I suggest you contact the BC Forest Safety Council at 1-877-741-1060 for further details. thanks kindly. will do . Hi, I am wondering if ORV’s have to yleid to larger vehicles (trucks and cars) on a single lane FSR road, and where I can access the specific legislation that outlines this? “Yield to industrial traffic. Large industrial vehicles can’t manoeuvre as quickly as passenger vehicles – give these vehicles room so workers can safely do their job. As a cautionary approach, follow industrial vehicles at a safe distance – watch them, slow down and pull over if they do. Should you require further information, you could contact the Ministry of Forests, Lands and Natural Resource Operations office at 1-800-663-7867, or the BC Forest Safety Council at 1-877-741-1060. I am wondering if ORV’s are required to yield to larger vehicles (trucks, cars) on a single lane FSR road, and where I can find the specific legislation that outlines these rules? 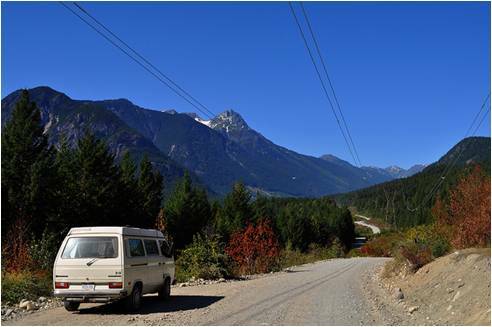 Hey, I was wondering if going on the Lillooet FSR at this time of year is a good idea? I don’t have chains, only AWD. Also, is it still possible to get to the keyhole hot springs? If so, how long is the drive approximately? Thanks! I am having difficulty finding online resource road maps. I know of various back country map books, but figure that given the quick nature of changes, that there would be an online resoruce. for this. So far, I’ve not found it. Thanks for checking in with us about resource roads. Thanks for checking in with us about maps for resource roads.